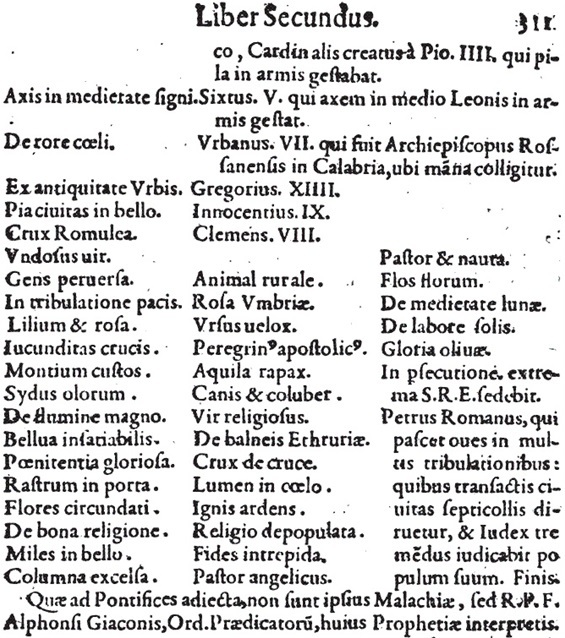 Pictured is the final part of St. Malachy's Papal Prophecy (List of Popes) from the Lignum Vitæ 1595 A.D., p. 311. CVII (#107) on list: "Pastor et nauta" (Shepherd and sailor) Pope Gregory XVII, Elected October 26th, 1958, CVIII (#108) on list: "Flos florum" (Flower of flowers) Pope Gregory XVIII, Elected May 3, 1991 in secret Conclave in Rome. Note: "Where Peter is, there is the Church." Our Lady of La Salette said: “The Church will be in eclipse, the world will be in dismay." Our Blessed Lord promised to St. Peter and His Successors "...et portae inferi non praevalebunt adversum eam." Could antipope Francis be the last antipope of Vatican II sect before 3 days of darkness? The False, V2 Sect, says their Antipope "Francis" is the last pope (Peter the Roman) prophesied by St. Malachy, on his famous list. What complete delusion! Hi. Divine Providence brought forth a rare flower in the barrenest of deserts the Church has endured. The Canon Law CRUSHING Schismatics days are numbered. Gregory XVIII, elected May 3, 1991.....in secret Conclave in Rome..Is anyone allowed to know who He is? Who is Flos florum? Please send me anything else! Are saint Malachy's prophecies recognized valid by the true hierarchy in exil? Hi. Most certainly they accept them. Also Marie-Julie Jahenny's prophecies can help in understanding St. Malachy's list. because his prophecies don't seem consider the antipopes. Thanks!